Welcome to AngelViewDoodles est.2007, we are located near Birmingham AL. "We raise puppies as part of our family, till they become part of yours." 2019 we only have Goldendoodle litters planned, 2020 we are adding the Australian Bernedoodle & Australian Labradoodle more info coming soon! Our dogs are healthy and well-balanced with unmatched personalities & beauty. They are our pets first, and we treat each with great care and consideration. We have health tested or are in the process of health testing all of our breeding males/females. Most of our time is spent with our dogs as they are loved and exercised every day! Our moms are fit and sound and we feed them nutritionally balanced meals. We take great pride and joy in our dogs, and it shows. 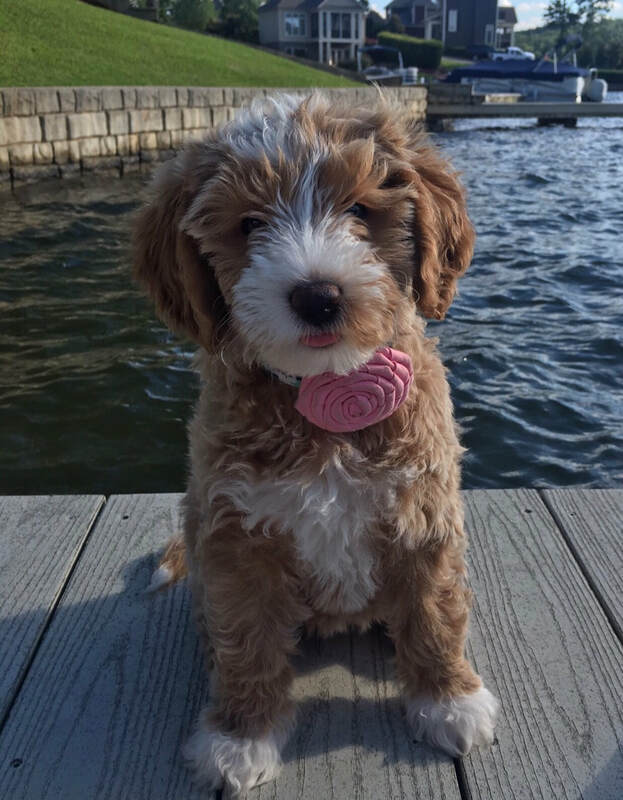 We breed Mini - Medium - Standard sized Doodles in a variety of colors. We take breeding dogs and the responsibility of bringing life in to this world very seriously. We are committed to breeding happy, healthy puppies for our clients. As a breeder you have to know your dogs linage as health issues are passed down from previous generations. This is why we import our breeding stock from Europe, as their pedigrees are clearly defined and traceable. Carefully analyzing the pedigree of a mom and dad before making the decision to breed them, greatly improves the chances for healthy offspring. Proven experience in breeding Teddy Bear Doodles. We are a known for an elite quality and look you will only find at Angel View Doodles. Our priority is quality NOT quantity. 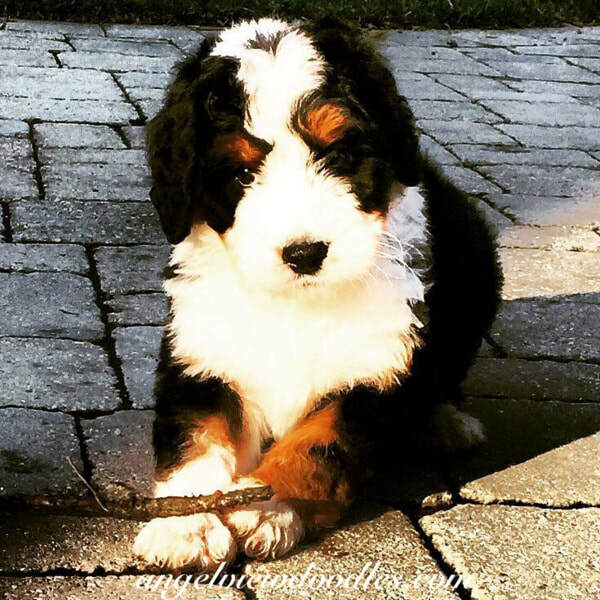 Breeding Goldendoodles for over a decade, for a little variety we recently added Bernedoodles in 2014 and furthermore, will continue to spice up our program by mixing and matching well-bred doodles. 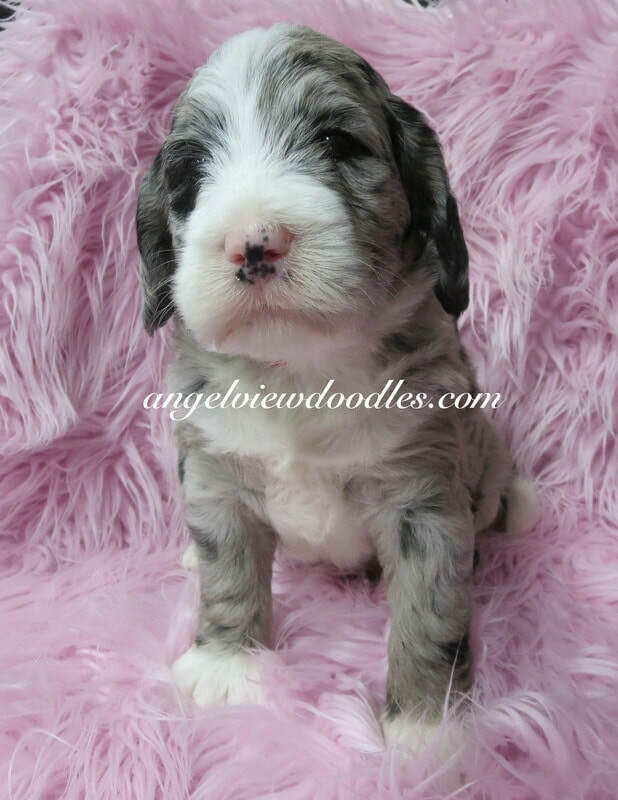 We also recently added a medium Merle Australian Labradoodle and a Mini Bernedoodle stud to our program. Personally afflicted with pet dander allergies, we prefer poodle hybrids due to their hypoallergenic coats. We're excited to see how much you will enjoy our adventures!